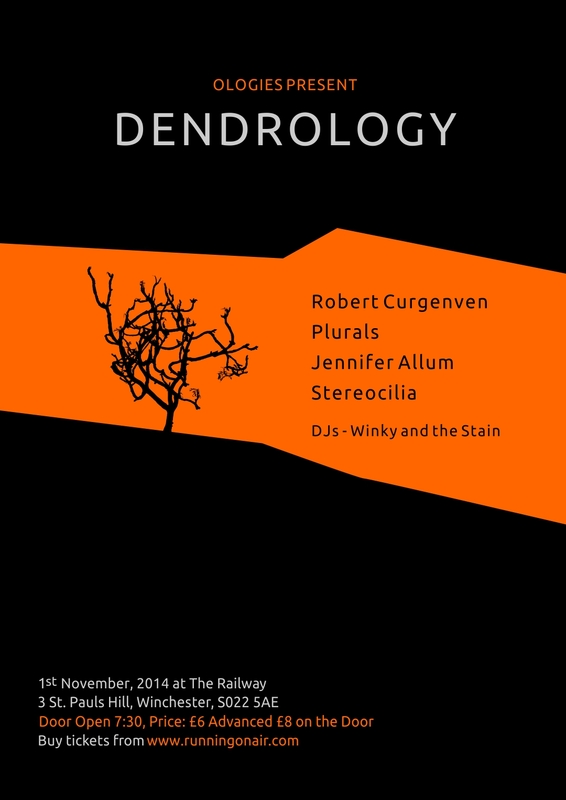 Our next incarnation, this time as Dendrology, will take place on 1st November in the Barn at The Railway, Winchester. We are pleased to announce that the following artists will be joining us: Robert Curgenven, known for his work with organ, feedback and resonance; Plurals, the Brighton-based drone improv group; the extremely talented improvisational violinist Jennifer Allum; and finally Stereocilia, with a mix of guitar and live looping techniques. All in all another fascinating night of experimental music!